It's amazing what a beautiful earth day event the annual El Sereno Kite Festival has become! Having helped develop the event, we are always so happy to come back every year to add an art component to the day's activities. 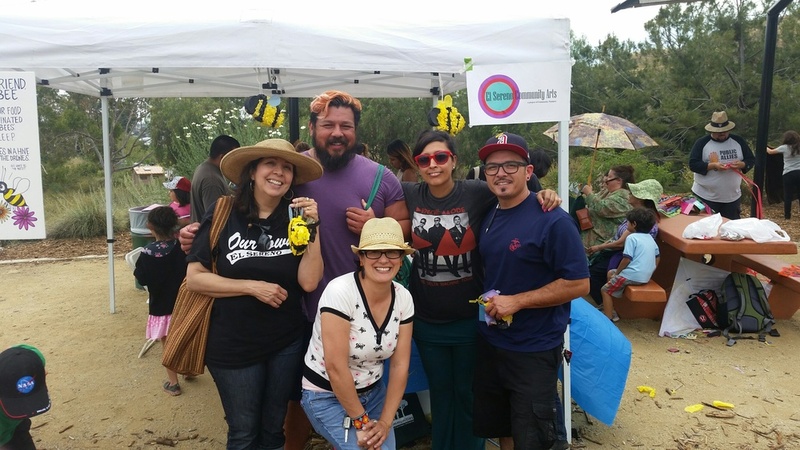 This year Andrew Cervantes, our Director of Arts Programming, developed templates for everyone to make petite bee piñatas. Bees are an important part of our ecosystem and for eARTh day we celebrated them with this fun craft...special thanks to all our ESCA arts family that helped throughout the day! photo contributions by Arnold A. Puentes Jr.